Red Delicious Life: January - Ready, Set, Goal! Hello 2017! I am so ready to conquer this year and get things headed in the right direction. I've always been on the fence about the New Year's holiday. Do I like it? Don't I? It signifies the end of the Christmas season which always makes me sad. I love having the house decorated for the holidays and the soft glow of the Christmas tree in the corner is especially soothing. The thought of putting everything away always makes me a little depressed. But on the flip side, the new year signifies a fresh start, an opportunity for a new beginning. I think the thing that tips the scale in favor of the new year is back to school. What can I say, I love my first grader dearly but after 2 and a half weeks at home, I'm ready for the new year to begin. If for no other reason than to get back into our normal routine. For this month I need to enlarge this to twin size, purchase some backing fabric, and baste it so that it will be ready to quilt for February. I'm very optimistic. I can do this! Diane, I believe you can do it, this is so cute, lucky little boy. 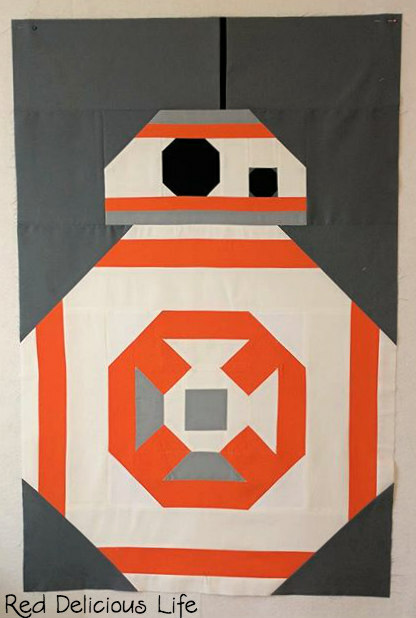 I had so much fun making that BB8 quilt - yours loooks great. 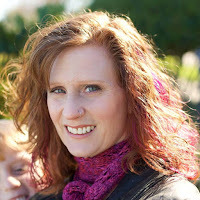 Thanks for linking up with Elm Street Quilts One Monthly Goal. I think that you will have this done in no time. Has he seen it yet? Totally seems doable for your January OMG. I Look forward to seeing it as a finish! I've fallen a bit out of sync with the new Star Wars, but I know that my sons in Star Wars' last time around would have loved this.